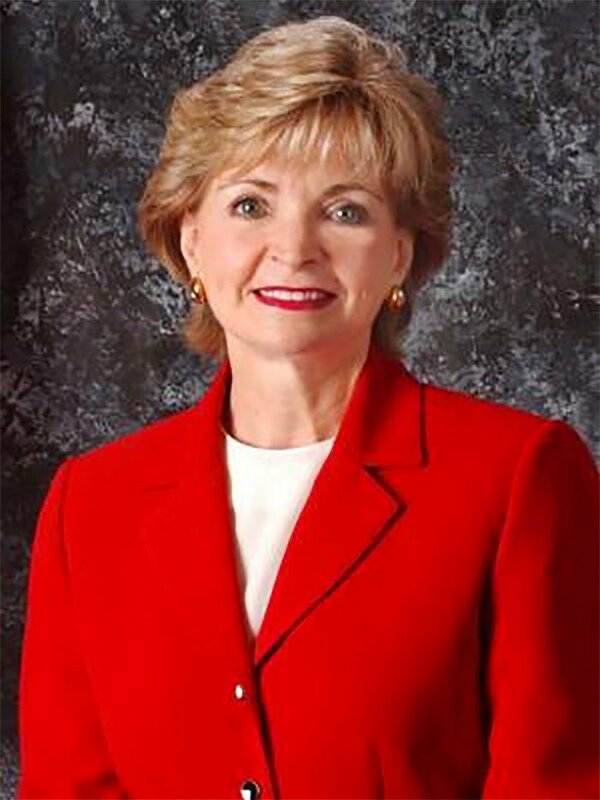 Dr. June Atkinson is the State Superintendent of the Public Schools of North Carolina as well as the President of the Council of Chief State School Officers. As state superintendent, she heads the Department of Public Instruction (DPI), oversees reform initiatives such as the Accountability and Curriculum Reform Effort (ACRE), and strives to increase the opportunities and success of the nearly 1.5 million students in North Carolina’s public schools. Previously, Dr. Atkinson has worked on instruction and curriculum development and has served as a business education teacher, consultant, and director with DPI. For her dedication and service to education, she has been awarded the State Policymaker of the Year Award from the State Educational Technology Directors Association, the Champion of Children Award from the North Carolina Association of School Administrators, and the North Carolina Association of Educators Inclusive Leadership Award. Dr. Atkinson is a current member of the Board for the Institute for Educational Leadership. I graduated as a North Carolina EPFP Fellow in 1985, and since I was relatively new in a leadership role, there were many benefits that I gleaned from EPFP. The Fellowship helped me to understand the impact of policy on what happens in the classroom as well as just how complex the public education system is. Furthermore, the network that I developed with the EPFP Fellows in my class and with others who were a part of EPFP was very valuable. I was also able to meet people whom I would have never had the opportunity to meet had I not been involved in EPFP, such as journalists, lobbyists, and others involved in education policy. Not only were the networking opportunities very beneficial, but I believe that EPFP provided a safe environment for Fellows to discuss issues and to get feedback from colleagues. I was able to learn how policy is developed, all of the different players who are involved in the process, and the impact that policy has on public education. I have come to realize that the skills I received from EPFP are still relevant and necessary for those involved in public education today. The North Carolina EPFP program has become an integral part of education and leadership development throughout the state. Being an EPFP Fellow is a great complement to professional development provided to those who work at DPI, and it gives someone an edge over another person who may be applying for the same job. EPFP has made work on the ground more collaborative and teamwork-based, and it helps some of our mid-level managers see the complexity of the decision-making process of senior leadership. For the most part, anyone who has been in our department for more than four years will have gone through EPFP, and it has helped us to work better with our General Assembly members. EPFP certainly contributes to our leadership development in the state, and without it, it would be difficult for us to have sustained leadership or policy development. As a student, I experienced the benefits of career and technical education (CTE) because I was able to apply the skills I learned in high school to my college work. Hardly a day goes by when I don’t use the skills from my CTE courses, such as accounting and shorthand. CTE is a way for students to see how their education is relevant to potential careers. When students can see the relevance of their education, they are more likely to graduate and to become interested in other subjects. This is why I majored in business education and became a teacher. I have also been able to see firsthand the impact that workforce preparation and career education have had in North Carolina schools. These courses allow students to develop problem solving, teamwork, and creative thinking skills. Not only has CTE positively contributed to graduation rate increases, but students are earning more credentials, such as in information technology and Microsoft. Students are able to earn extra endorsements along with their diplomas—such as “college ready” or “career ready”—and more students are able to get these endorsements through career tech schools. By bringing businesses directly to schools, CTE programs allow schools to involve businesses and industries in meaningful ways while also garnering greater support for public education. As the first woman to be elected state superintendent of North Carolina, I believe I can be a role model for women teachers who see themselves in administrative and leadership positions in the future. When I meet fellow women teachers, I like to plant the seed that they should aspire to take leadership positions, whether that’s in a local school district, a public school, or an administrative office. During my time as state superintendent, I have noticed an increase in female leadership in education. For instance, more and more women are being appointed principals of large high schools, which was not the case 15 or 20 years ago. Furthermore, local boards of education are hiring leaders regardless of gender, focusing more on whether the candidates have backgrounds in curricular development and professional development. These issues are becoming more prominent in school and district leadership. As a state-level leader, I work with every stakeholder in education, from parents and students to teachers and principals to superintendents and policymakers. Through this, I have learned the importance of always listening before talking and creating opportunities in which I demonstrate that I am willing to listen to diverse views. I do my homework before I meet with people, so I understand what issues are important to them. I have established advisory committees for parents, teachers, and principals, and I visit schools often to get every perspective. I make sure that anyone who wants to contact me can do so, and every so often, I will call someone after reading a letter to the editor in a newspaper so I can further discuss an issue. I also host the Teacher of the Year and Principal of the Year summits every year to listen to concerns of teachers and principals. I meet with district superintendents several times every year. Leading across boundaries can often present challenges, and through my work, I have come to understand the importance of legislation, quality policy, and finding a win-win situation in any issue. Above all, it is extremely important to be able to see more than one side of an issue. First and foremost, I have learned that all leaders have just one thing in common: followers. You have to support the people who will be delivering what you want to accomplish. If you don’t support them, they won’t support you, and you won’t be effective. It’s also important to have a general concept of where you want to take public education, and it’s your responsibility as a leader to break that vision into smaller steps to carry it out. This requires practice and being strategic in identifying the steps for making change. Eventually, change should become a part of the fabric and culture of your organization so when new leaders step in, things continue to run smoothly. Another lesson I’ve learned is that sometimes you have to repeat a message over and over in order for it to stick. It has always made me smile inside when staff members, teachers, principals, or superintendents say virtually the same things that I have previously said because it shows me that my message is getting through, and I am being an effective leader.